The nostalgia continues at ColorWare with the all new Retro Apple iMac computer and Retro version of the Magic Keyboard and Magic Mouse. 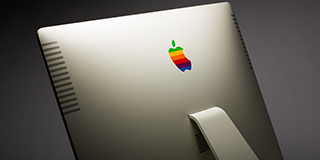 Once again ColorWare was inspired by the Apple IIe computer, a design that customers long for. Last year, ColorWare launched the iPhone 6s and iPhone 6s Plus Retro along with the MacBook Air Retro in 2014. 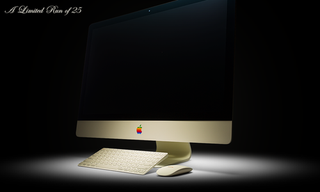 Because of the remarkable success of both products, they brought back the theme and created a 27-inch iMac Retina 5k and the wireless Retro keyboard and mouse. 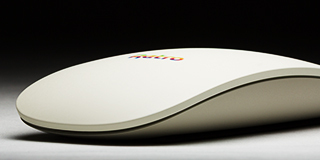 This Apple iMac desktop computer is sold with one Retro Keyboard and Retro Mouse that include a rainbow Retro logo along with that memorable vanilla and putty color. 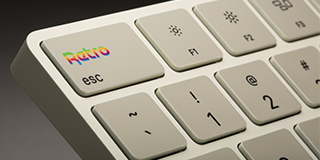 The iMac Retina 5k is engraved with the series number 1-25 and has the cheerful rainbow Apple logo.